Thanks to Phil for the suggestion of adding the approximate time stamp to the pick. Not sure if this is useful or overkill. What do you think? 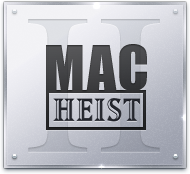 Can we go ahead and say that MacHeist is a worthless bundle, only due to the fact they charge your CC multiple times and don’t always send the serials. I think one thing that would be REALLY useful would be to tag each pick, so that people could find picks based on categories such as audio, video, cameras, audible, etc. I think the time stamps are a great idea. Now we can go straight to that section of the podcast if we need more information. Some great pics here, I love Tooble and have since found Miro, another good app for downloading online videos. Wonderful job here so I don’t have to concume reams of paper or type fast to keep up with Leo et al. great supplement to the podcast. Thanks and keep it up. Hope you are making a few bucks on the ads! A possible downside to the timestamps (if it is too much trouble for you don’t bother- I can take or leave it as I usually check the picks after I listen).. When I first saw the timestamp next to the audible pick, I thought that was the length of the audible book . Of course the book is longer.